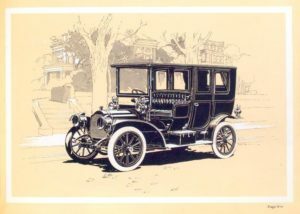 Packard Limousine shows up in the Nella Larsen’s Passing. In the same passage that talks about rumors of Clare Kendry getting into a rich white man’s limo, the Packard Limousine shows up. Larsen specifically put this type of car in that passage in order to show how Clare is passing for white, and how she gets to enjoy meeting with rich white men and their many privileges. This type of car was specifically for upper class people of the time. Larsen also put this car within the novel in order to show the time the novel is set in. There were many models of Packards over the years, and the 1920s had a few models that were actually great looking. So, The Packard limo is important to the overall novel because it marks time, race, and class. Clark, Harry. “1924 Packard Six, Best Original, 12k Miles, 2 Families Since New!, For Sale!” YouTube, YouTube, 25 Oct. 2011, www.youtube.com/watch?v=RR_MiZVegBg.